Rena Sofer is an award-winning American actress known for her splendid acts in several TV drama series and movies alike. Rena is one of the prominent and successful Daytime and Primetime TV actress on American Television. She currently plays a major role in the ongoing CBS Bold And The Beautiful. Under her belt, Rena has more credits for TV roles than movie roles. As far back as 1987, she played the role of Joyce Abernathy in Another World. In 1988, the beautiful actress played the role of Amelia McKenzie Domeq in the series, Loving, which was an all-time favourite for the American audience and even beyond. Subsequently, she played roles such as Shayna in the 1992 movie A Stranger Among Us; Jean in the Womyn Fest episode of Ellen in 1998. Though in a significantly lesser number, Rena has acted in over fifteen movies; some of which includes Twin Sitters, March, Always and Forever, Keeping The Faith, Saved by the Bell: Hawaiian Style; Rock Slyde, Nightmare Street, The Devil’s Teardrop amongst others. For her role as Lois Cerullo in the ABC soap opera, General Hospital, Rena, in 1995, won the Daytime Emmy Award’s Outstanding Supporting Actress in a Drama Series and The Soap Opera Digest Award for being the Outstanding Younger Lead Actress. Born on December 2, 1968, Rena Sherel Sofer is the daughter of a Conservative Jewish rabbi, Martin Sofer and a psychology professor, Susan Sofer. The American actress was born in Arcadia, California. Until the divorce of her parents, Rena and the family stayed in Pittsburgh, Pennsylvania. She has a brother named David Sofer. Explained by her Jewish decent, Rena Sofer attended a Jewish high school, Frisch School in Paramus, New Jersey. She lived in North Bergen, where her father served as the rabbi of Temple Beth El. Later on, she proceeded to Montclair State College for her higher education. While there is no much information on the aspirations and perhaps art-inclined tendencies of the young woman who would today become one of the most popular TV actresses in America, Rena was known to be shy. She tried her hands on modelling before venturing into the movie world. At the age of 15, she was discovered by talent scouts from New York. From there, she started modelling which was an indirect strategy to overcome her shyness. We can say that the plan paid off as she has made a good career in show business. Her TV debut was in Another World, followed by Loving (1988-1991) amongst many other TV and movie projects. However, her first major role ever was in the 1993 Soap Opera General Hospital, playing the character of a band manager, Lois Marie Cerullo. She played the role for 3 years. Loving is also known to have brought her out to the limelight. Adding to her numerous TV roles, Rena Sofer has made brief guest appearances on top-rated TV series like Melrose Place, The Chronicle, Friends, Blind Justice, Ghost Whisperer, 24, Two and a Half Men, Criminal minds, Covert affairs, NCIS amongst others. In 2013, a brand new major role was designed for Rena in the all time hit TV series, The Bold and the Beautiful. Following the announcement of her joining the CBS soap opera, Rena aired her first episode as Quinn Fuller in the TV series which runs to date. Rena Sofer says she looks up to Michelle Pfeiffer as a model with regards to her talent, career and personality. Does Rena Sofer Have Children? Aside from her identity as an actress, Rena is a wife and a mother of two – a daughter and son. She is currently in her second marriage. The first which ended in a divorce was with Wally Kurth and produced a daughter Rosabel Rosalind Kurth while the second with Sanford Bookstaver produced Avalon Leone Bookstaver. 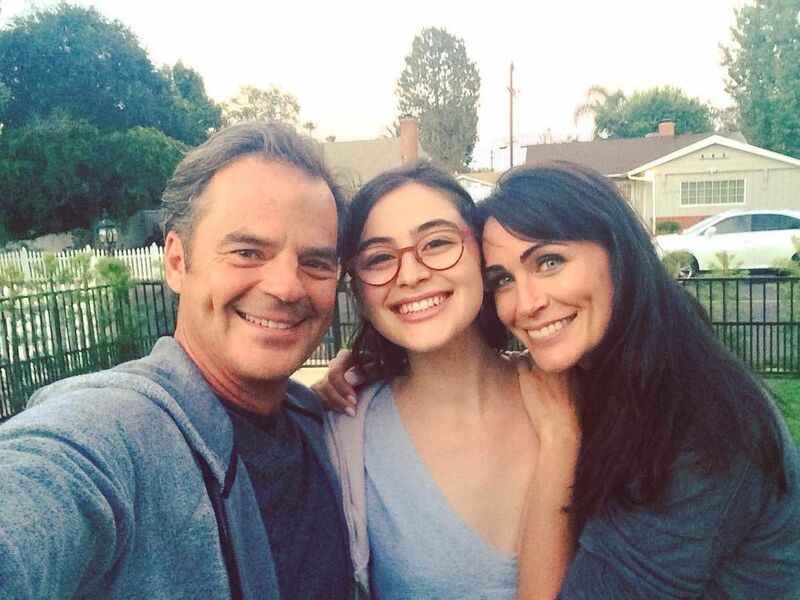 Rena Sofer met her first husband Wally, a singer, actor and TV personality while working on the series, General Hospital. Then, both were an on-screen couple. Typical for most cases, the two become involved in reality and ended up as husband and wife. Unfortunately, the union lasted for two years (1995-1997). Their daughter Rosabel was born on 17 September 1996. The estranged couple has maintained a good parenting relationship for their daughter’s sake. Rena married director and producer, Sanford Bookstaver in 2003. Together they have Avalon who was born on August 5, 2005, in Los Angeles. The beautiful actress is estimated to be worth an impressive $3 million. Nothing is known of an over the board luxury lifestyle or money spinning investments, but the actress is clearly reaping the fruits of a long history of good acting jobs.